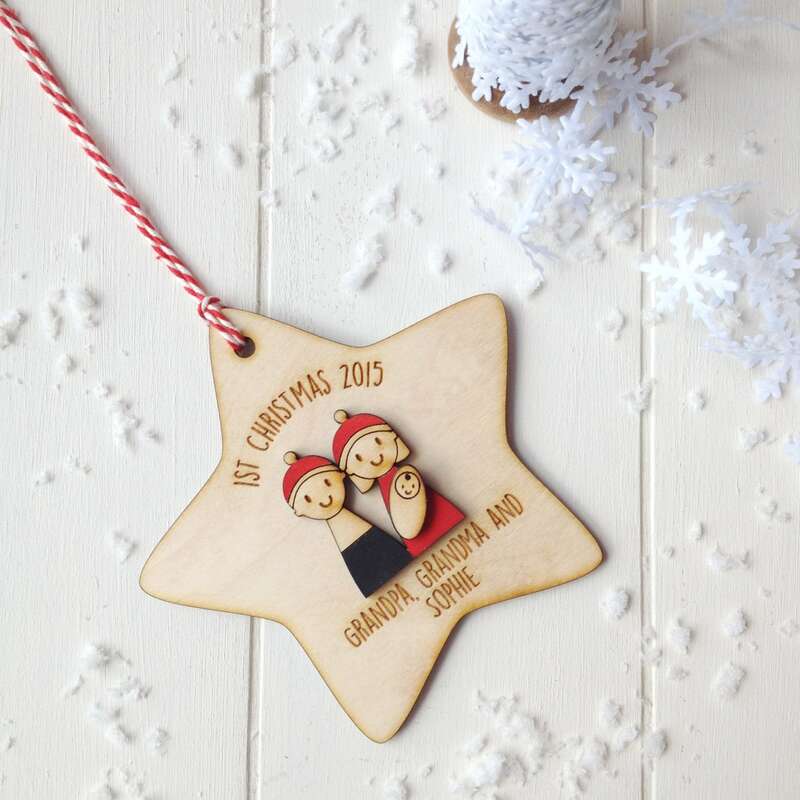 A lovely christmas decoration for new Grandparents. 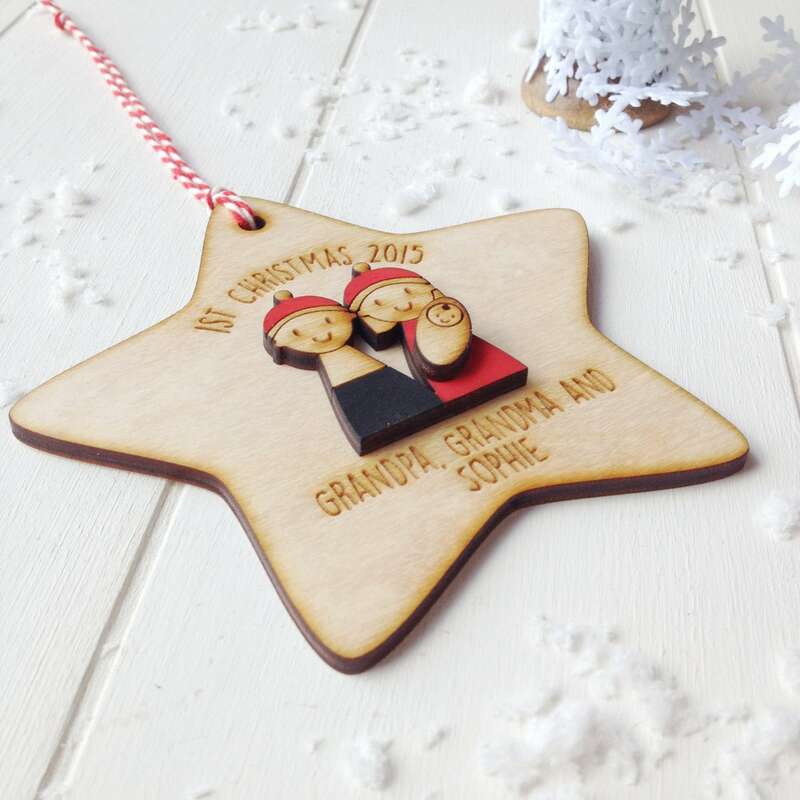 This beautiful decoration is made from wood and shows a sweet hand painted grandad, grandma and baby figures. 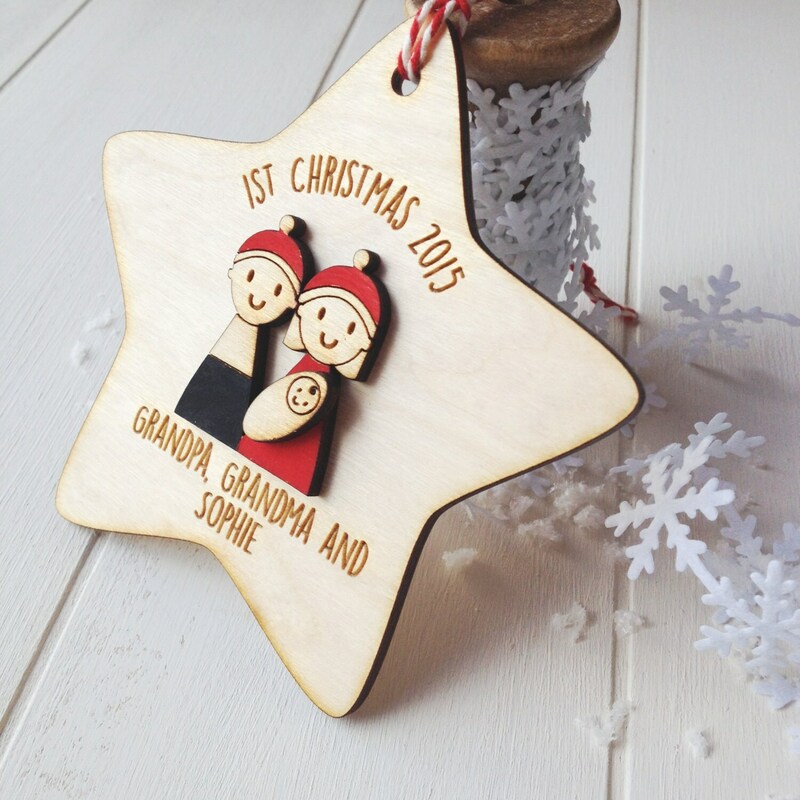 Each star is personalised with the year, the grandparents preferred titles and the name of the baby. To personalise your star please add grandad's preferred title eg Pops, Grampy. Grandma's preferred title eg Nanny, Gran and the baby's name. Please also supply the year of their first christmas. This ornament is awesome! And it was nicely packaged. I can't wait for my parents to open this as one of their gifts. I will be ordering from this shop again. In fact, I almost did today but they had so much volume of orders that they are trying to catch up :). 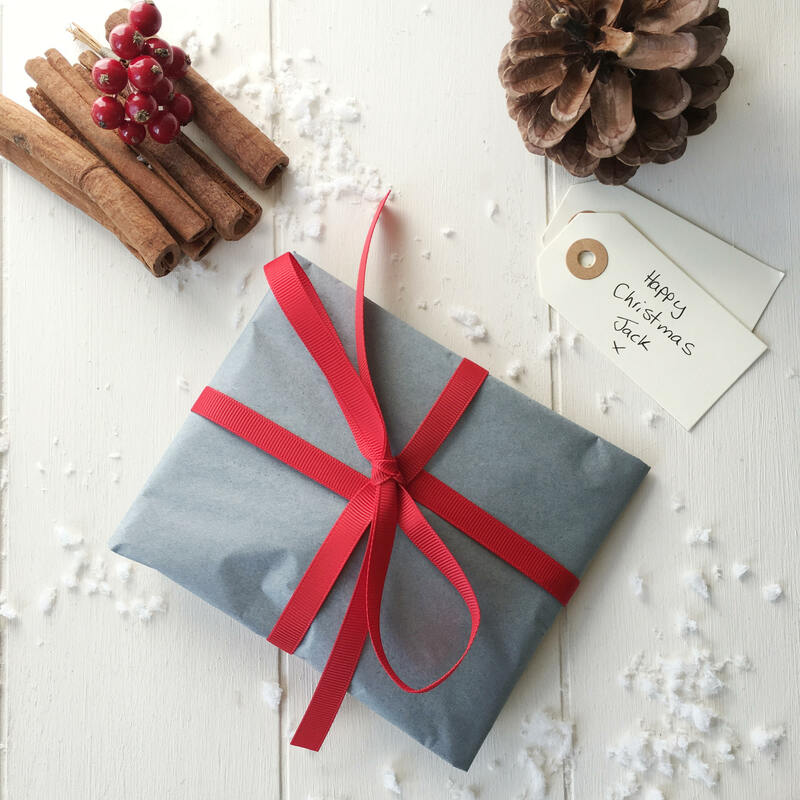 I ordered one for my mum as first year grandparent's Christmas gift. Its soooo lovely and special. We love it a lot. Will order more later. 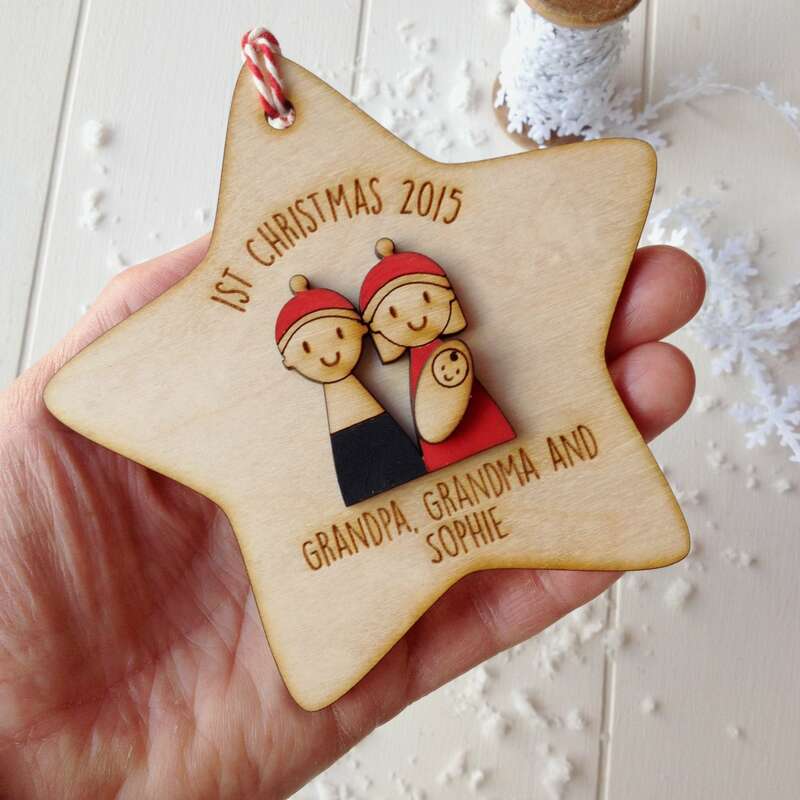 Seller was great to work with and helped me to customize the ornaments for my family. These ornaments are probably my favorite thing I've ever bought off Etsy. Excellent craftsmanship and simply precious. Looking forward to my next purchase!